Essentially unchanged for 2014, the Chevrolet Silverado 3500HD offers buyers as much towing ability and comfort as they could possibly need. The refined and efficient new Chevrolet Silverado 1500 deserves all the attention it's getting this year. But serious haulers still have their eye on the stout 2500HD and 3500HD models, which soldier into 2014 virtually unchanged. In terms of sheer capacity for work, the 3500HD is the undisputed leader of the Chevy truck clan. Even without optional equipment, payload capacity stands at about 4,600 pounds. Order the available dual rear wheels and that balloons to 7,222 pounds. Although most buyers don't need that kind of capability, those who do will appreciate being able to get it right off the dealer lot -- and equipped as indulgently as they wish. The standard 6-liter V8 is paired with a six-speed automatic transmission and produces 360 horsepower and 380 pound-feet of torque. So equipped, the Silverado pulls up to 13,000 pounds. With a fifth-wheel connection, towing capacity grows to 14,500 pounds. Interestingly, the 6-liter can be equipped to operate on either gasoline or compressed natural gas (CNG), which burns cleaner and costs less. In CNG mode, engine output drops to 301 horsepower and 333 pound-feet of torque. For those who need even more grunt, Chevy again offers the Duramax Turbo Diesel with a heavy-duty Allison transmission. The 6.6-liter V8 cranks out 397 horsepower and a massive 765 foot-pounds of torque for a maximum towing capacity of 18,000 pounds, or a whopping 23,100 with a fifth wheel. Models powered by the Duramax also get an exhaust brake, a 730-amp battery and an engine block heater. When not hauling a load, the engine provides exceptional acceleration for this class. Zero to 60 mph comes in just 7.5 seconds. As before, the 3500HD comes in three trim levels: the basic Work Truck (WT), popularly-equipped LT, and luxury-themed LTZ. Four-wheel drive is available across the board and includes an automatic setting on LT and LTZ models. The WT, with its vinyl interior and lack of ornamentation, is the daily laborer of the lineup. Buyers looking for a truck they can hose off and take on the town will be more at home with the LT. At the top of the line, the LTZ offers premium style and comfort for those who might otherwise opt for a luxury vehicle if they didn't need the muscle of a heavy-duty pickup. 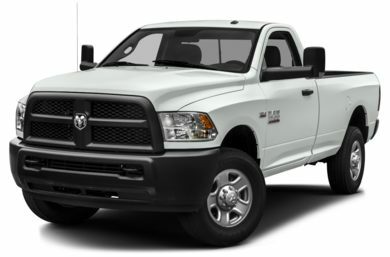 Recommended for: Buyers who want a muscular truck that's fit for personal use. Aimed squarely at the consumer market, the LT carries most of what buyers are looking for in a modern truck. 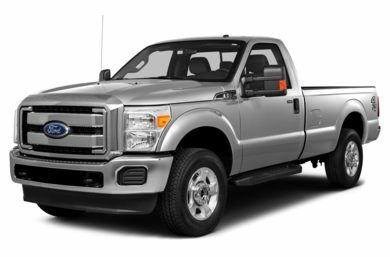 Standard features include cloth seats and full carpeting, driver seat lumbar adjustments, power windows and locks, 17-inch machined aluminum wheels, tinted rear windows, keyless entry, a locking storage console, a leather-wrapped steering wheel, CD/MP3 player, satellite radio and OnStar. Options are plentiful and include 20-inch wheels, bed extenders and liners, a power-sliding rear window, a sunroof, power-adjustable pedals, a heated steering wheel, rear parking sensors, Chevy's EZ-lift tailgate system, navigation, a rearview camera, and a rear-seat entertainment system. The Z71 Off-Road Suspension Package adds skid plates, specific shocks and a beefier front stabilizer bar. There's also a Z71 Appearance Package, which offers a chrome mesh grille with body-color surround, a body-color lower fascia, and 18-inch polished alloy wheels. Recommended for: Buyers who want a plush and accommodating brute. The LTZ adds the creature comforts of a premium passenger car to the basic Silverado formula. 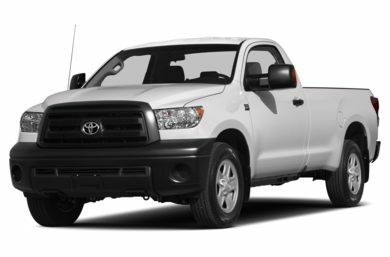 In addition to the LT's standard equipment and options, you get leather bucket seats with heat and power, a front center console, dual-zone automatic climate control, 18-inch alloy wheels, fog lamps, remote start, Bluetooth compatibility, and a Bose sound system with a USB port. 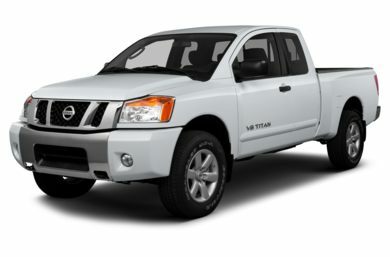 Recommended for: Buyers who like their trucks plain but proud. The Work Truck (WT) version of the Silverado 3500 might be basic, but it's received progressively more equipment over the years. All WT models carry air conditioning, chrome trim on the grille and bumpers, 17-inch steel wheels, cruise control, a tilt wheel and a four-speaker AM/FM stereo. Because it's still the most utilitarian rig in the lineup, the WT has vinyl seats and a rubberized floor covering, although cloth and carpeting are available. Many of the LT's standard features are available here as options, but some important ones, like power windows, are not.